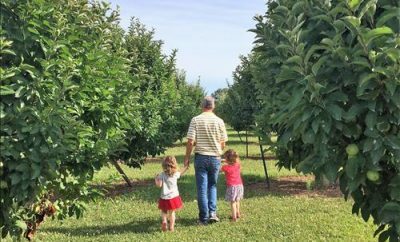 If you haven’t added tiny Taylorville to your destination list for a weekend getaway, you should. Located in central Illinois just 30 miles from Springfield, Taylorville charms visitors with tree-lined brick streets and 11,000 friendly citizens. Founded in 1839, Taylorville has often been called “The Last Stop” in reference to its ties to Abraham Lincoln because it was the last stop for lawyers (including Abe) traveling the old Eighth Judicial Circuit before heading to Springfield. 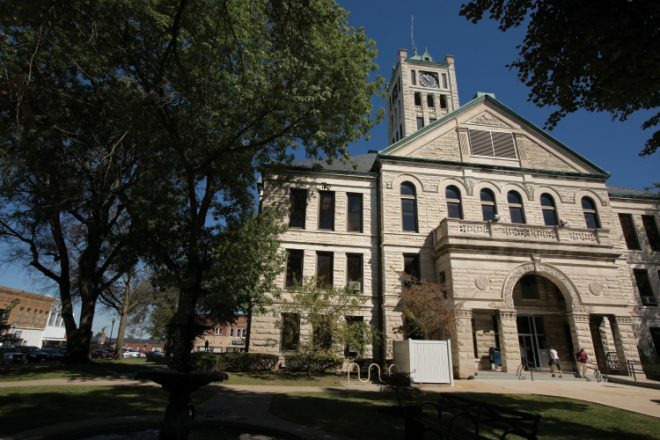 Taylorville’s entire downtown Courthouse Square District can be found on the National Registry of Historic Places with restored buildings dating back to the 1800s. 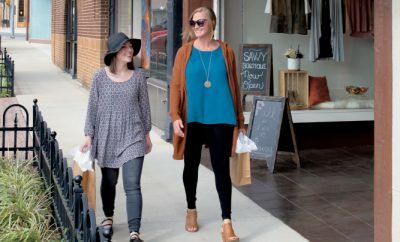 Take time to browse the many unusual shops and restaurants that now occupy Taylorville’s downtown historic buildings. Young Abraham Lincoln practiced law at downtown Taylorville’s Christian County Courthouse where he famously requested a “writ of quietus” when some squealing pigs scuffling under the courthouse floorboards disrupted his trial. Statues and murals around downtown illustrate Lincoln’s connection to Taylorville, including a life-sized bronze statue of Lincoln and a pig on the courthouse lawn that reminds visitors of our 16th president’s wit and sense of humor. Dig deeper into Taylorville’s history by visiting the Christian County Historical Society and Museum grounds, which include an 1820s log house, a one-room school and an old train depot. 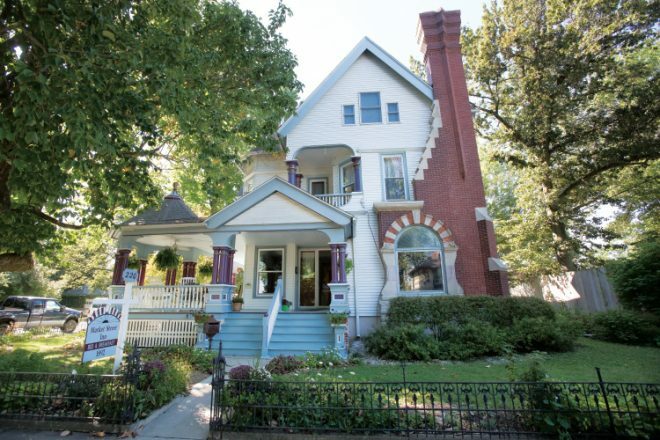 To soak up local history with an aura of romance, book an overnight stay at Market Street Inn Bed & Breakfast, a lovely 1892 Victorian house with 10 guest rooms and a heaping helping of hospitality. The inn’s wraparound porch overlooks hosta and perennial gardens, and impresses guests with its ornate woodwork, six original fireplaces and grand oak staircase. After a relaxing night’s sleep, savor a homemade breakfast of egg casserole, French toast, fresh fruit and a steaming cup of coffee. Spend a day fishing, boating, canoeing or swimming at beautiful Lake Taylorville, the city’s source of water and a popular recreation destination. The lake’s clear water and 50-plus miles of panoramic shoreline draw visitors and locals alike, and it has been named among the top five fishing lakes in Illinois. Fishing happens year-round at Lake Taylorville, thanks to an abundant supply of bass, crappie and sauger. A nearby campground and cabins allow visitors to spend multiple days on the lake with easy access to nature trails for hiking and biking. Two parks – Kiwanis and Optimist – near the lake provide space for picnics and children to play. 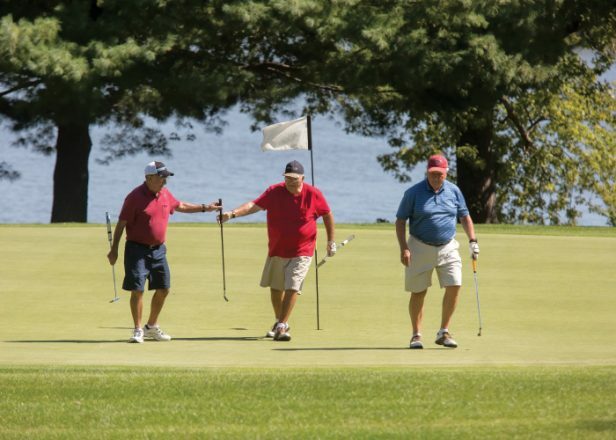 Golfers should book a tee time at Lakeshore Golf Course, an 18-hole, par 72 public course located on 160 well-manicured acres. Manners Park and the Don Bragg Sports Complex provide even more opportunities for outdoor recreation. Calling all chili lovers! Make plans to be in Taylorville Oct. 1-2, 2016, for the city’s 31st Chillifest, sponsored by the Greater Taylorville Chamber of Commerce. Cooks compete for prize money to see who can concoct the best pot of chili, and the Chamber sells chili, chili dogs and Pepsi products in a tent near the courthouse. The highly anticipated event also includes a kiddie tractor pull, 5K “Hot to Trot” Run, cutest baby contest, chili-eating contest, pumpkin race, live music, pony rides, vendors and pageants to crown the Little Miss, Little Mister and Junior Miss Chilli Peppers. 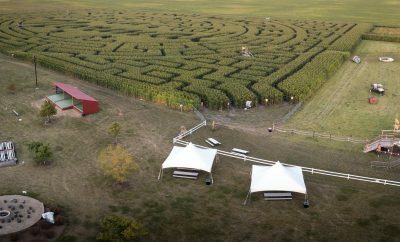 For more about Chillifest or to plan your trip to Taylorville any time of the year, visit taylorvillechamber.com.